The old picturesque part of Mazara town follows the same design as a North African Kasbah, many narrow streets form a labyrinth, dotted with wonderful baroque and Norman constructions. This small part of town is also called La Kasbah. It has a very wondrous feel and provides visitors with a different atmosphere from the ones the average tourist looks for. 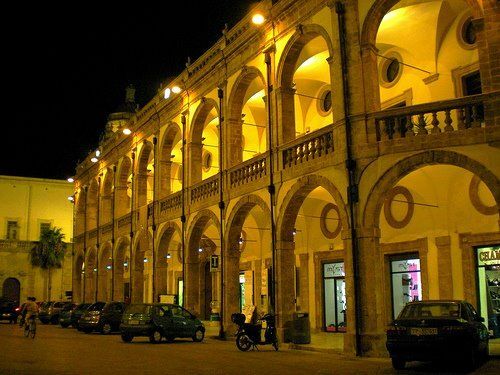 Mazara was one of the core settlements of the Saracen world in Sicily. The number of immigrants is the highest all around the country. They mainly move to Mazara to work for the fishing industry and generally stay in the old headquarters which provides Mazara with an atmosphere of many origins: North African, Norman, baroque and Saracen. The city abounds in history and a rich influx of different cultures adds to a its special feel. Museo del Satiro is housed in the deconsecrated Chiesa di Sant’Egidio. A video of its most valuable piece, Il Satiro Danzante is played. It is an account, subtitled in English, telling the way some fishers could, by chance, first take one of the legs of the statue from the forgotten depth of waters. As time went by, in 1998 they finally fished out the remaining part. 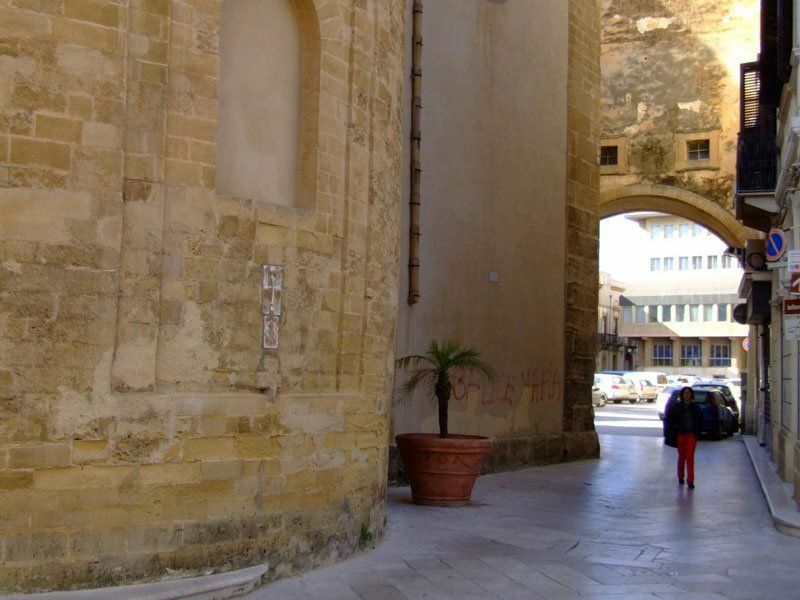 Its restoration took over four years in which the town had to struggle for the statue to return to Mazara . A return that came true in 2003. The statue is a beautiful one-of-its-kind piece. You feel the movement in his hair hanging down loosely, while he is dancing with his hands extended. Photos are not allowed although it is impossible not to surrender to the temptation. Museo Civico is on Piazza Plebiscito, by the baroque Chiesa di Sant’Ignazio. The museum sports a small number of sculptures, local paintings and Roman artefacts. A nice stroll around the town has to take in Piazza della Repubblica where the 11th century Cattedrale del San Salvatore should be paid a visit. The cathedral underwent full modification in the 17th century and it adopted a different style, the one which was spreading in Europe at the moment: the baroque style. Its portal depicts Count Roger stepping on a Saracen. Its interiors houses an ornate altar with the transfiguration, and many statues created by Domenico and Antonello Gagini and the stuccowork belongs to Antonio Ferraro. The right chapel houses a weird 13th century painted cross. Around Piazza della Repubblica is the 18th century Seminario dei Chierici where the Museo Diocesano is. An important collection of 18th century books is kept in its library. 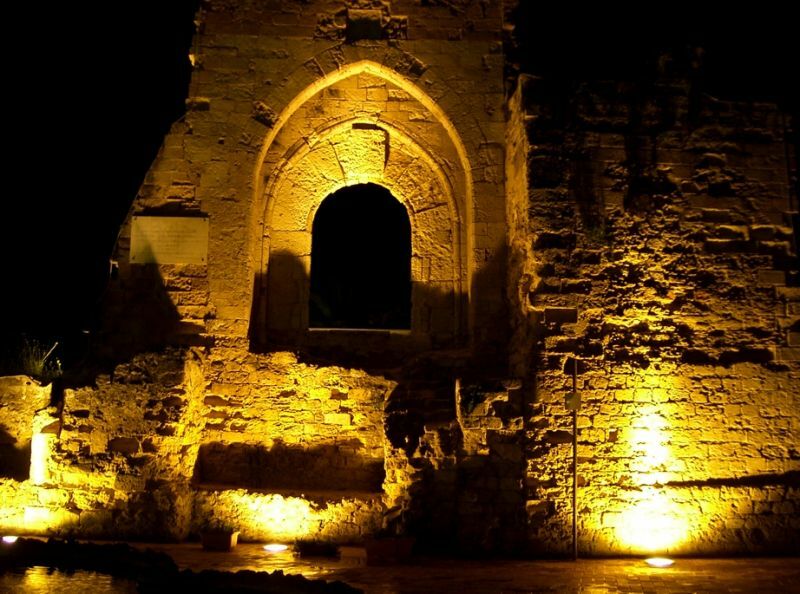 The vestiges of Count Roger’s castle are on Piazza Mokarta. The cube shaped Chiesa di San Nicolò Regale, looking over the fish market, was built in 1124 and has stayed intact ever since. The Kasbah is a labyrinth of narrow streets where the Saracen town developed. Its main street is Via Bagno where its hammam (public baths) can still be visited. The area is in bad condition; however it is full of character, a place where there are Arab links and overflows with immigrants from northern Africa. The public gardens on Via Lungomare are lined with restaurants and bars, whose terraces boast great views of the sea. Lo Scoiattolo serves affordable good food. The antipasti, pasta and fish are recommendable dishes. Il Pescatore is where gourmets gather to learn how fish should be made, and where high quality service and fine setting blend. Without any doubt it is the most recommendable restaurant. Alla Kasbah whose best dishes are fish couscous and vegetarian one is located in the historical centre. Baby Luna and Il Gambero on the waterfront are good options. BY BOAT: To Pantelleria (length: 2 ½ hours, services: 1 a day, June to September). BY TRAIN: from/to Trapani (length: 50 minutes), from/to Marsala (length: 20 minutes) from/to Castelvetrano (length: 20 minutes), from Palermo: change at Alcamo Diramazione (length: 1 hour, services: 10 a day). The train station is east of Corso Umberto I the main street of town.